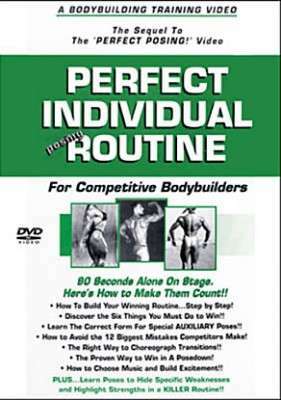 This is the 65 minute follow-up video to Perfect Posing, in which you learn MANY new AUXILIARY poses which you can add to the mandatories to build a fantastic routine. This is the follow-up video to Perfect Posing, in which you learn MANY new AUXILIARY poses which you can add to the mandatory poses to build a fantastic routine. Learn how to hide your weaknesses and make your routine score maximum points! Includes demonstrations for both male and female competitors from top pro judge Gary Udit.